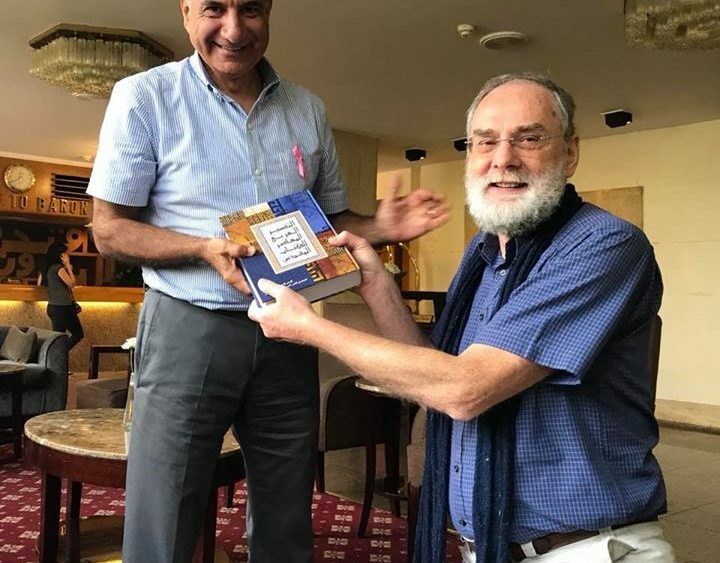 Riad Kassis, left, receives a copy of the Arabic Contemporary Bible Commentary in Cairo last October from Pieter Kwant, International Director for Langham Literature Program. 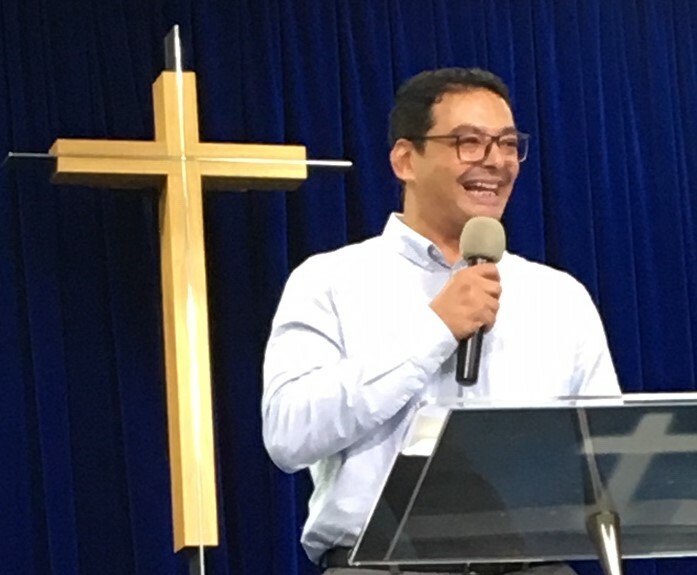 Hundreds of Australians were moved to reach into their pockets to support the printing of the first full Bible Commentary written by Arabs in Arabic, which was launched in Merrylands, Sydney, on Sunday, March 17. Arab Christians in Melbourne will celebrate the launch next month. 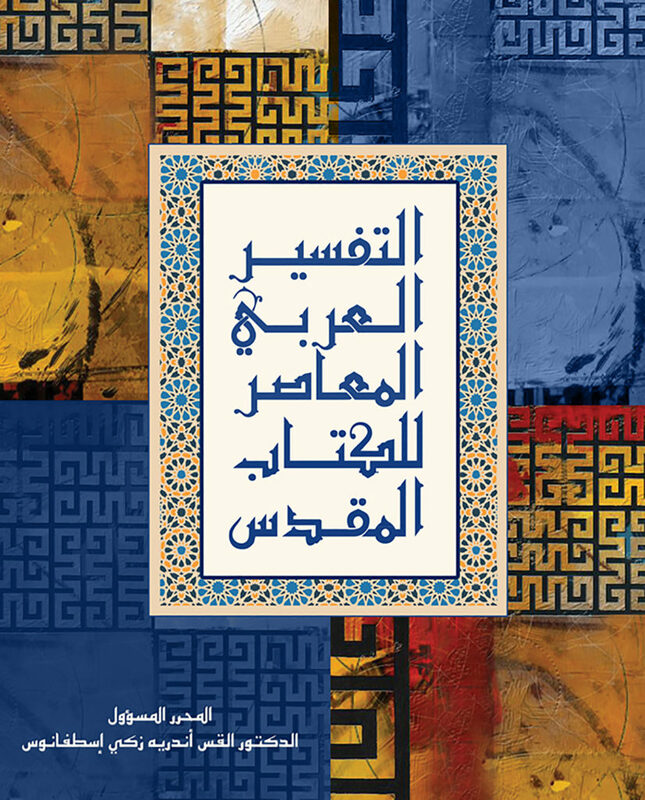 Leading lights of the Arabic church took ten years to complete the Arabic Contemporary Bible Commentary (ACBC), complete with topical articles, in response to requests from church leaders and believers across the Arab world. The timeline was disrupted by the war in Syria and the Arab Spring – the uprising that spread across the Middle East in 2010 – which prevented the editorial committee from Syria, Kuwait, Palestine, Lebanon, Jordan and Egypt from travelling through the region to collaborate until the last couple of years. 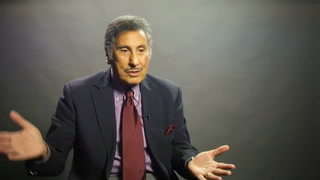 Riad Kassis, director of Langham Scholars and one of the many legends of the faith on the editorial committee, says the commentary has fostered strong unity among Arab Christians. “This is the first time Christian scholars – Protestant, Catholic, Maronite and Orthodox – have come together to produce a commentary that addresses the needs and challenges of the region. It is a landmark in the history of the church,” he said. “While we raised $42,000, most of the contributions were $100 and $200, so it means a lot of people dug into their pockets in order to see this to fruition,” comments Gillean Smiley, CEO of Langham Partnership Australia. She believes Australians resonated with the need for the commentary because they care about what is happening in the Middle East. Smiley says the church in the Middle East sees the dislocation that’s come about through the conflict in Syria as God’s way of bringing many people to hear and believe the gospel because in normal circumstances they weren’t going to hear it. “But within that context, that means there are huge challenges of how do we feed those people, how do we provide good quality resources for them? Many of them are coming to Christ with no background and limited opportunities to hear the gospel well preached, so we really have to be equipping the Bible teachers. George Bishai, a lecturer at Alexandria School of Theology, tells Eternity that the commentary will help the seminary gain accreditation from the Egyptian government, which is demanding that teachers teach in Arabic from Arabic books and resources rather than relying on lecturers from outside. As a direct response to this requirement, Langham provided a scholarship to Bishai to study a PhD at Moore College in Sydney. He has spent three years in Sydney and will return to Egypt with his family in May. For Bishai, the importance of the commentary is threefold – it highlights the special struggles of believers in the Middle East; it fosters unity among denominations and allows the average reader and the expert to broaden their understanding of different interpretations of the Bible. “For centuries we couldn’t have a one-volume commentary for the whole Bible that tackles our issues and the special struggle that we are going through,” he says. 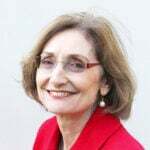 “Such as the current issue for refugees and what does it mean to live as a minority in the Middle East, immigration and the challenges it is bringing to the countries we live, many issues related to women, for example, to homosexuality – many questions that haven’t been asked before and now are becoming hot issues that we need to understand and we need to have a response to. “More than 100 articles are written by scholars and experts in the Arab world – all of them are well educated and hold PhD or Masters in their field. That’s one of the main issues that means a lot when I read this commentary. “Among other things I am very thankful for the fact that those who wrote this commentary came from different backgrounds and different denominations because for the average person when [you get] scholars from different backgrounds that means only one thing – conflict. It seems that we can’t listen to anything; we can only argue. And one would win and another lose.